You may be surprised to see how much water is used to produce the foods that you eat. If you are serious about water conservation, your diet may soon change. 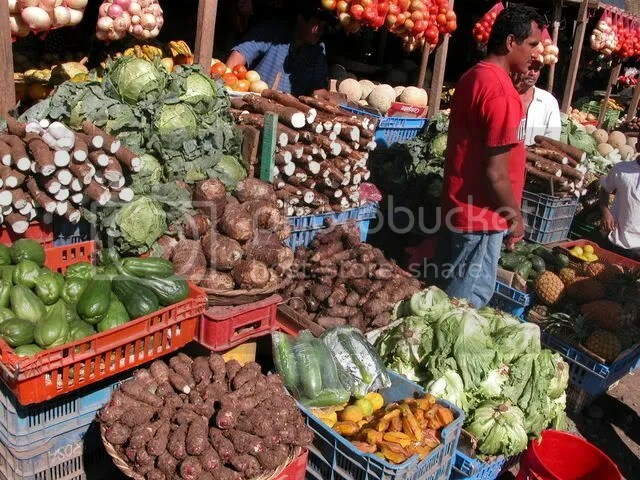 Did you know that vegetarians conserve more water through dietary choices than those that eat meat? This is because it takes more water to grow a cow than to grow corn, for example. With the onset of increasing water scarcity, individuals may start to change their diets to save water. Have you checked your Water Footprint lately? 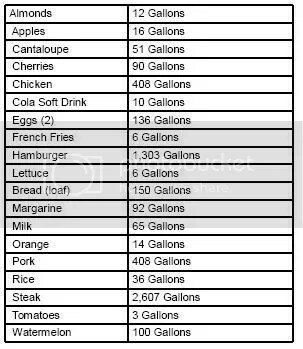 Here is a list of assorted foods and the amount of water needed to produce each serving (data from Bottled Water Association, EPA, and USGS – totals are approximate). I grow my own vegatables with no irrigation other than greywater which would otherwise be wasted. My lettuce, tomatoes, etc. have an almost zero clean water requirement as a result. Perhaps we should all try to grow our own.